Christopher Joseph Lanzillo will serve one year in county jail for efforts to entrap two Costa Mesa city councilmen in embarrassing and illegal acts. The Fourth District Court of Appeal denied an attempt by Costa Mesa’s police union to block part of a lawsuit by councilman Jim Righeimer and Mayor Steve Mensinger alleging a host of misdeeds by police union members and private investigators. Christopher J. Lanzillo and Scott Impola, who worked for a law firm retained by the Costa Mesa Police Officers Association, where charged with four felonies relating to their alleged efforts to trap two Costa Mesa councilmen in embarrassing or illegal acts. City council members said the last-minute proposal didn’t give them enough time to vet the medical marijuana regulations. New rules limit long-term guests at motels. 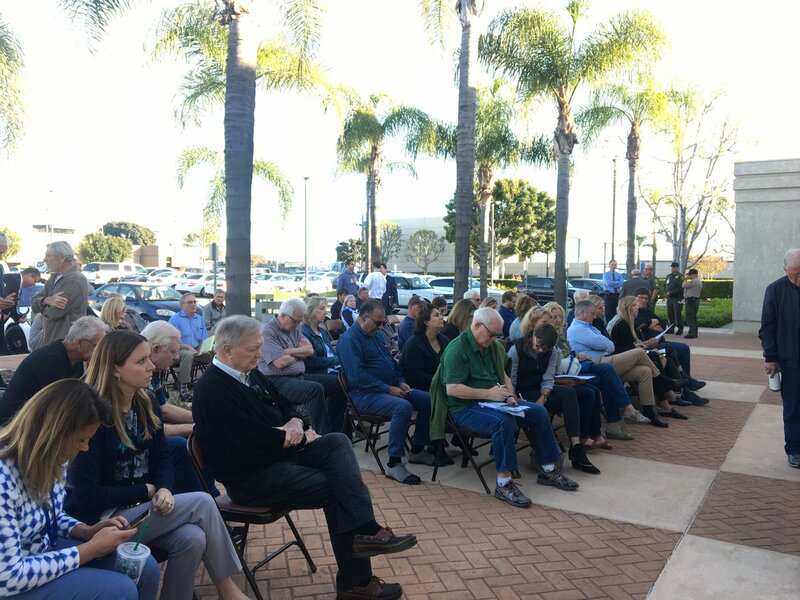 The ordinance, under consideration by Costa Mesa City Council, would ban “unduly repetitive” public comments. Councilwomen Wendy Leece and Sandy Genis call it an attempt to restrict Mayor Jim Righeimer’s critics. Activists say the city has spent more than $250,000 on the event and refuses to disclose the contracts. Up to 50 housing units would be built under the plan approved Tuesday.